Our Account Managers indeed know that it’s not just about handling client queries, but also engaging with the clients, often giving them inputs on how to maximize and realize the full potential of their business. Harsh Desai, a member of our Account Management team is exemplary at handling client issues and excels in putting the resellers at ease by indulging in friendly conversations that enable them to transact with us as partners. This fosters positive exchange of ideas and insights and helps our Resellers grow their business. Harsh has been with us for about 3 years and the defining characteristic of his style of work has been his ability to keep calm during testing times. This, coupled with his patience helps him empathize with resellers and give them sound support and counsel. Deepak was looking for a solution where he could manage his hosting customers easily and retain a good deal of control over the services and Harsh suggested he try ResellerClub Dedicated Servers. Harsh helped migrate Deepak’s services seamlessly to the new order and helped him boost his profitability as well as convenience. 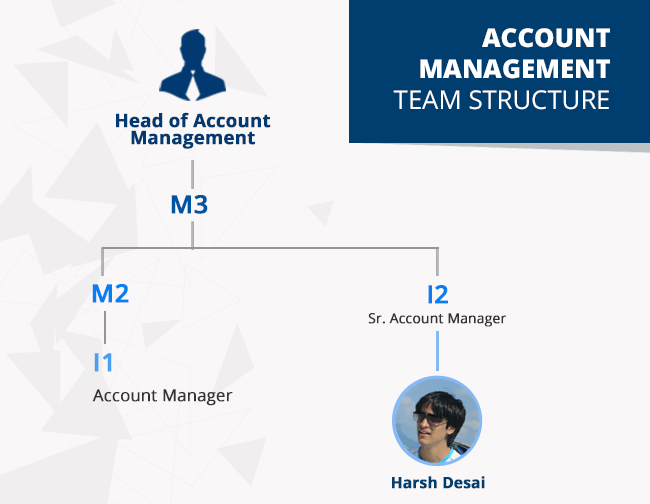 Throughout the time Deepak has been associated with ResellerClub, Harsh has been working in tandem with the support team, making sure all operations go on smoothly. Harsh has helped energise Amit’s business by undertaking a thorough analysis of his business and coming up with realistic but stiff targets and helped him achieve those goals through various techniques and methods. Harsh has also offered insights and designed marketing strategies, best suited to Amit’s business, keeping in mind the desired goals. Harsh’s recommended steps have always benefitted Amit and his business has been climbing the growth and success ladder consistently. “Whenever we’ve needed to contact ResellerClub; we’ve got an immediate response and a definite solution for any issue that we may face. It’s good to know someone outside my business cares about it as much as I do!” gushes Amit. Harsh loves his work & enjoys interacting with the resellers; he takes up each reseller’s business as a challenge and relishes it much like an entrepreneur would. We are delighted to have in Harsh, one of the most accomplished Account Managers who’s never failed to impress our resellers and is a delight to work with!